Potential. That’s a word that you’re going to hear tossed around a lot when it comes to the newly released Apple TV. It has the potential to be a great streaming device. It has the potential to be a wonderful music playing machine. It has the potential to be an awesome gaming console. It has the potential to really become your living room’s nucleus for entertainment. Is it doing any one of those things in a mind-blowing fashion currently? Not exactly. Fortunately, the Apple TV has plenty of room for growth, because it’s powered by a more significant operating system called tvOS, and Apple has opened the platform up so that developers can create apps. Just like an iPhone 4s at its beginning, which shipped with iOS 5, looks nothing like an iPhone 4s running iOS 9, the Apple TV experience is bound to evolve, grow, and improve. If you purchase an Apple TV now, you’re buying into that potential. Already, the Apple TV can do more than the 3rd-generation version that it supplants. The older hardware couldn’t download apps, and wasn’t capable of playing games natively on device. With the new Apple TV, you have all of that, along with much-improved hardware, a better remote that doesn’t require line of sight, and limited Siri access. At this early stage in the game, you shouldn’t expect a perfect experience, but even out of the gate, it’s obvious that the new Apple TV is a much better device than prior versions. Right now, it’s just good, but with the proper direction, it has the potential to be the best set top box that we’ve seen thus far. Out of the box, the first thing that you’ll notice is that the new Apple TV is taller than the device it replaces. Outside of the height and weight differences, it looks very similar to its predecessor from a design standpoint. 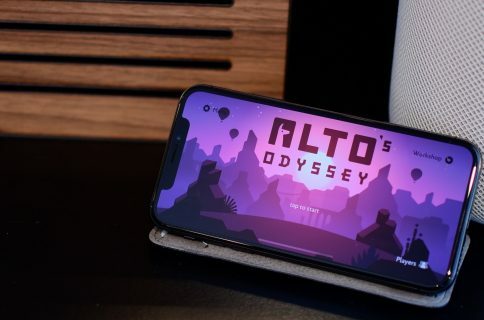 There is one big difference that you’ll notice on the rear of the device where all of the connectors are housed: the USB mini connection has been replaced by a USB Type-C connection, and the optical audio output, to the chagrin of some, has been nixed altogether. Internal changes include 802.11ac for improved Wi-Fi performance, and Dolby Digital 7.1, which is an upgrade from the prior model’s 5.1 surround sound. You’ll also receive a dual core A8 system on a chip, which is a significant upgrade over the single core A5 chip from the prior generation. Another important improvement, which unsurprisingly goes unmentioned on Apple’s website, is the inclusion of 2GB of RAM. That’s a major boost over the prior edition’s 512MB of RAM, and will lead to overall better performance. The Siri Remote that comes with the Apple TV is completely new, and features many more sensors and buttons than its predecessor. 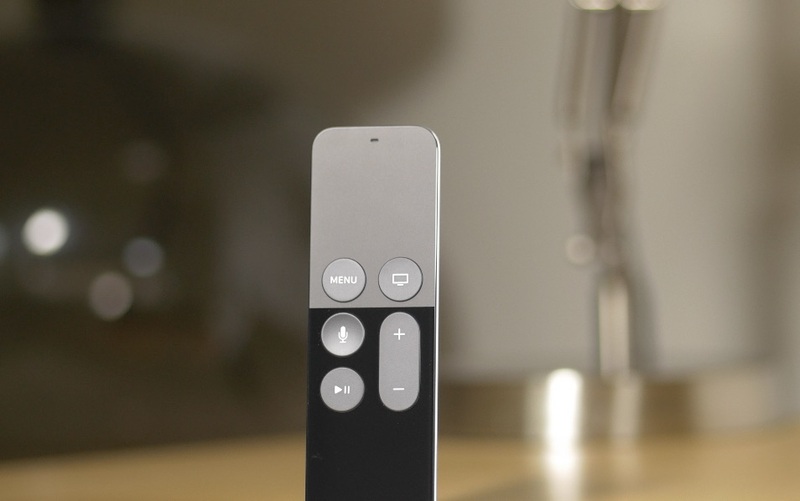 It is arguably the biggest differentiator between the old Apple TV and the new model. Whereas the old remote control required line of sight to the set top box, the new Siri Remote uses Bluetooth, meaning you can control the Apple TV even if it’s located inside of an entertainment center, for instance. The remote axes digital directional control, and instead opts for a MacBook trackpad-inspired clickable glass Touch surface. There are dedicated buttons on the remote for Menu, Home, Siri, volume up and down, and play/pause. There’s also dual microphones for voice input, an IR sensor for controlling IR devices, and a Lightning port for charging. That’s right, no more dealing with difficult-to-find watch batteries! 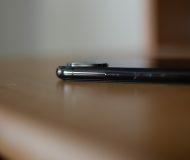 Sensors include a gyroscope and accelerometer. This makes it possible to use the controller with Wii-inspired motion controlled games and apps. Siri integration is the headline feature for the Siri Remote, and it works really well where it can. For example, you can use Siri to search for movies, and be extremely specific with your requests: i.e. “Find movies from the 80’s starring Tom Cruise” or “Find highly-rated movies from the 90’s that are rated PG.” Siri can even work in context, so after the initial search results are displayed, you can say something like “only the action movies,” and Siri will tighten up the results. Siri is also capable of performing searches on sports scores, weather, and stocks. You can even launch apps with Siri. Outside of those things, however, Siri functionality is curiously limited. You can’t play or control music with Siri, you can’t adjust settings with Siri, you can’t search the App Store with Siri, and you can’t use Siri for text dictation. Considering that Siri can be used for all of that and more on iOS, it’s odd and a bit frustrating that it’s so limited on the Apple TV. 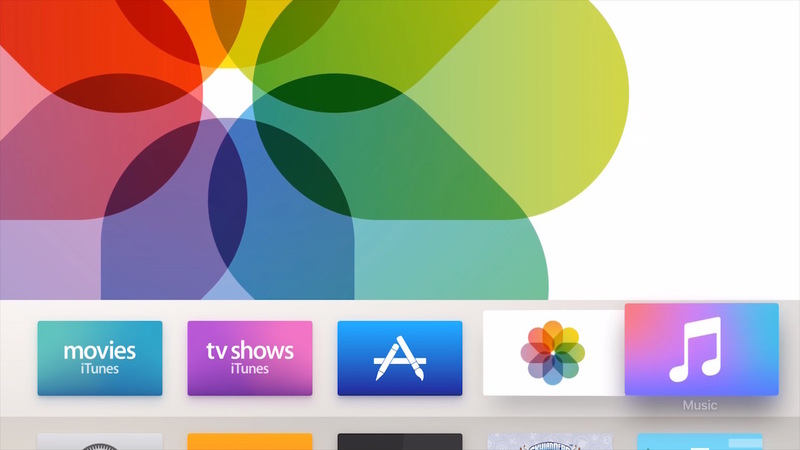 The tvOS interface is similar to the old Apple TV interface. This time, however, Apple has aimed for a brighter white background, which is nice for the day time, but not as well suited for using the device at night time or in dark conditions. It would be nice if Apple made the background automatically change based on time of day. Navigating with the Touch surface on the Siri Remote definitely takes some time to get used to. The control isn’t as precise as having digital hardware buttons, but it’ll likely become second nature after some extended time using it. It helps if you get used to tapping on the remote, instead of always relying on swipe gestures, by the way. 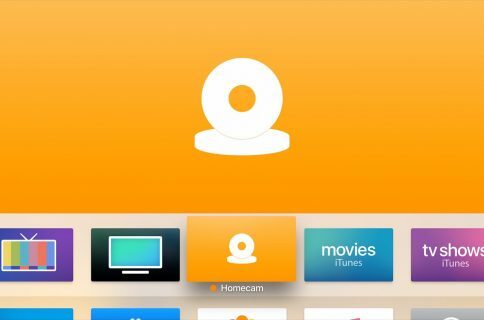 Apps are represented as rounded rectangular icons on the interface, and they can be launched by clicking on the Siri Remote’s Touch surface. The Menu button on the Siri Remote is used as a back button to navigate back to the previous screen. 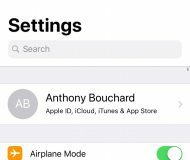 The Home button can be used to go directly to the Home screen, and works very much the same as the Home button on an iOS device. You can even double click Home to invoke an App Switcher for switching between apps and force quitting apps. Even though the new Apple TV contains beefy hardware when compared to the diminutive hardware of the outgoing model, I still sense some lag and overall sluggishness when it comes to running apps and perusing certain portions of the interface. The most obvious demonstration of this is when invoking the App Switcher with a double click of the Home button. There is noticeable lag when opening the App Switcher, and it just doesn’t feel snappy enough for my tastes. 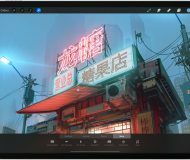 Outside of the occasional sluggishness, everything works fairly well with the interface and with navigation until you have to enter text with the on screen software keyboard. There’s no skirting around the fact that the software keyboard is bad, and arguably one of the worst tvOS design decisions. 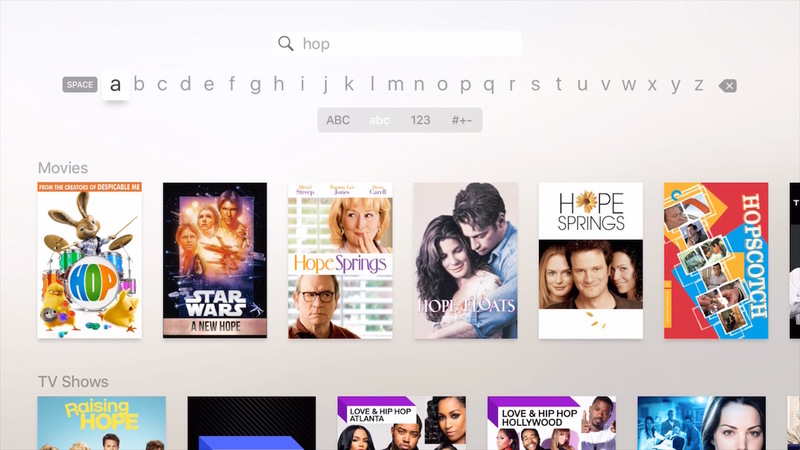 Not only does the Apple TV’s software keyboard lack the traditional QWERTY layout that most of us are used to, but all of the letters are displayed as a single line, which makes navigating and inserting each character a tedious exercise of patience. What’s worse is that you cannot pair a wireless Bluetooth keyboard with the Apple TV for faster text input. Adding insult to injury is the lack of compatibility between the Apple Remote app on the iPhone and Apple Watch and the new Apple TV. Fortunately, it is possible to bypass having to type your Apple ID password in most cases. Picture in Picture: If this box is going to do more than just stream videos like the Apple TV of old, then it needs to let me watch videos and do other things at the same time. Having the iOS 9 Picture in Picture mode from the iPad would feel right at home on the Apple TV. 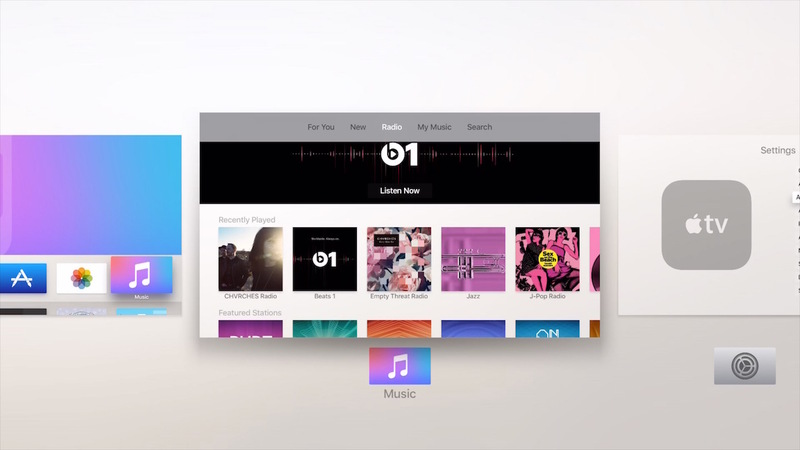 Siri search for the App Store and Music: the lack of a fleshed out Siri is such an obvious omission that Apple already stated that it’s working on it and a limited version of Siri search for Apple Music is already in the tvOS 9.1 beta release. No Control Center: How am I supposed to go about changing music or other options while within apps? Music app improvements: The stock Music app is poorly designed, and hard to navigate. 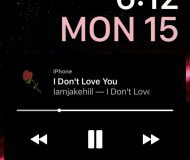 Siri controls for music will go a long way towards improving music control, but the stock Music app needs some major TLC to make it more user friendly. It’s too fiddly, and requires too many button presses to navigate throughout the interface. AirPlay: AirPlay, in my experience, works much more reliably on the new Apple TV, and video and audio plays almost instantly. AirPlay mirroring is also super-fast and reliable. Native Apps: Real apps are so much better than the “channels” that littered the last-generation Apple TV. Now we can have full fledged games and apps that run briskly on the hardware. 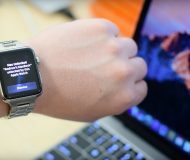 Bluetooth audio support: While it’s strange that you can’t yet connect a Bluetooth keyboard to the Apple TV, it’s a breath of fresh air to be able to pair your favorite Bluetooth headphones with the device. This makes watching movies and playing games possible while maintaining a quiet environment. Game controller support: The Apple TV supports select Bluetooth game controllers, such as the SteelSeries Nimbus. 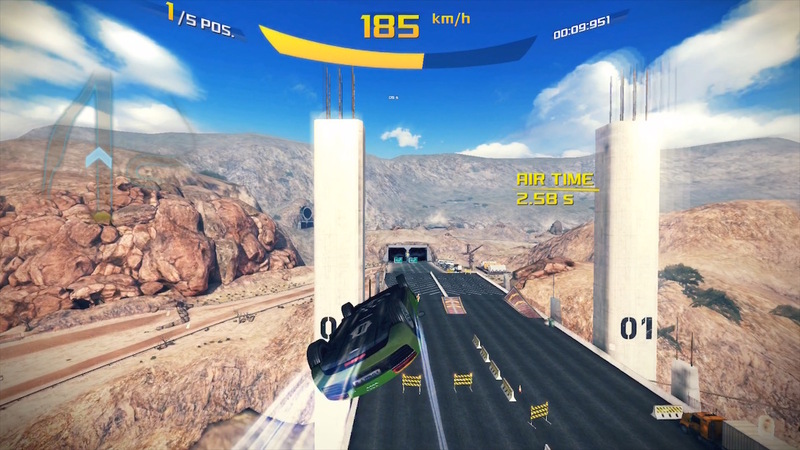 There’s only so much that the Siri Remote can handle when it comes to games, even if it does include a gyroscope and accelerometer for Wii-like performance. Having the ability to use a real game controller means that more than just casual games might flourish on the Apple TV. Sideloading apps: Xcode 7 opens up the ability for more experienced Apple TV owners to be able to sideload apps. This means that you can install apps that won’t ever appear on the App Store, such as a classic game emulator, or even a web browser. The bottom line is that the Apple TV has tons of room for growth, and early adopters are essentially buying into the potential of the device. The fact that the Apple TV runs tvOS means that it can be fleshed out, updated, and even completely redesigned as Apple sees fit. Apps can be updated, new games will be released on a regular basis, and support will grow for extra peripherals. Apps are, without a doubt, the future of television. With the release of the Apple TV, the groundwork has been laid, but there’s still quite a ways to go before this device can fully live up to its potential. The Apple TV is by no means a must buy in its current form, but after a few software iterations, its value and usefulness will grow. If you’ve already jumped into the game, enjoy this period of watching a new platform evolve and ultimately flourish. If you decide to wait, just know that you aren’t missing anything particularly groundbreaking at the moment, but it’s only a matter of time before you’ll feel compelled to join in on the fun.